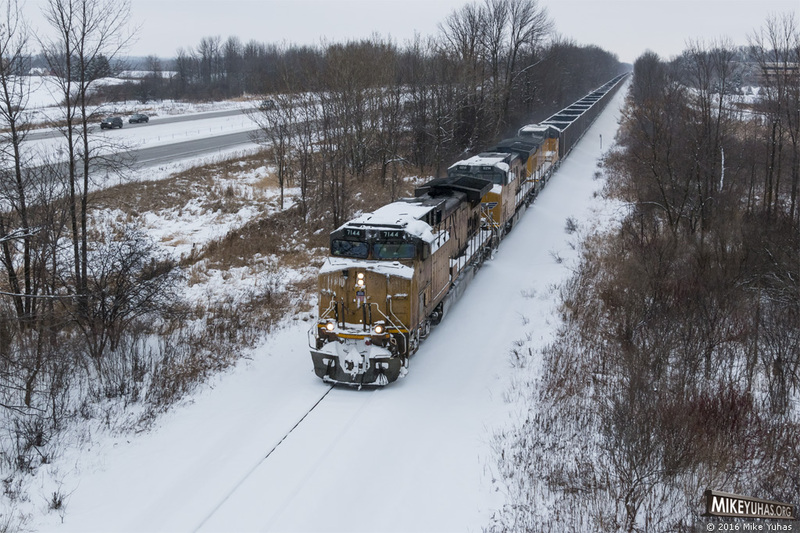 136 empty coal hoppers trail behind three units on this southbound Union Pacific train in Mequon, Wisconsin. Train originated a the Edgewater Generating Station in Sheboygan and is bound for a sub-bituminous mine in Wyoming. The icicles on the nose of the lead unit add a nice holiday touch.